← Making a Statement with Color-blocking! 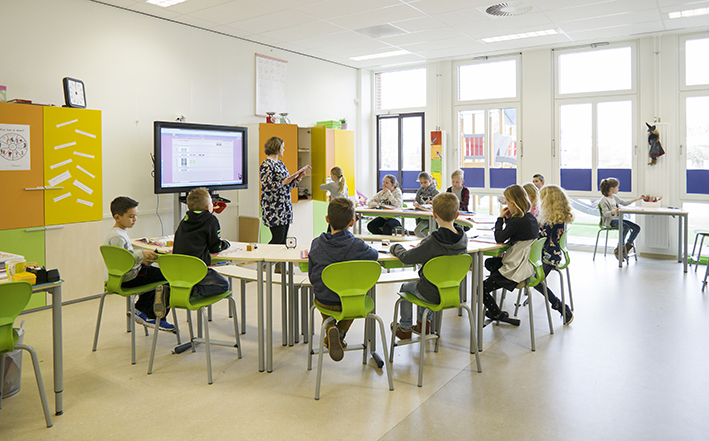 Collaborating with those in the education sector, the classroom furnisher has gained extensive expertise when it comes to information and communications technology (ICT), learning and playing materials, and childcare and teaching methods – all essentials elements when deciding how to successfully furnish a learning environment. Through this knowledge, EromesMarko’s exclusively-Dutch manufactured furniture strives to meet the specific wants and needs of its customers. The company produces furniture for all levels of education, from primary school through to university, catering to a variety of educational scenarios and environments. Ready to benefit from EromesMarko products, too? You can start by adding the brand to your own plans, as 3D CAD models for EromesMarko products are now available in the pCon.catalog. Have a look! Want to stay up to date on all the latest pCon news? Be sure to subscribe to the blog! This entry was posted in 3D Models and tagged 3D CAD Models, pCon.catalog, room planning. Bookmark the permalink.